Expect 15-20 Hidden Gems / Investment Ideas in 12 months. All updates are sent through email + sms. You need to make a &apos;Balanced Portfolio&apos; of our Hidden Gems. Avoid Over-Exposure in a particular company. Suppose if you want to invest Rs 1 lakh in 10 Stocks, then you need to allocate Rs 10,000 in each stock. 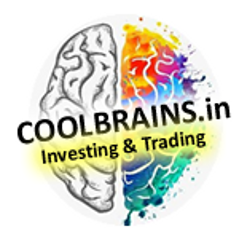 If you choose this service which is Long Term Investing or Hidden Gem Services of Sokhi Team / CoolBrains your Risk Profile is " BALANCED ". This means an investor who is comfortable with a moderate volatility and risk in order to achieve higher returns over long term. And your objective is to accumulate assets over long term by primarily investing in growth assets. As an Balanced Portfolio investor you might expect your portfolio to be allocated up to 65% in growth assets. If you are not sure and have doubts regarding your Risk Profile Call us at +919239176426 before proceeding for payment. Your Service will start once you have completed the above process. We are not Magicians who will make your Rich Overnight / We never Promise or Guarantee any Unreasonable returns in stock market, we are just a team of hardworking individuals who are sincere, committed and authentic in our research and approach to Investing. Join us only if you are mature enough to understand the risk associated with financial markets. Disclaimer : Financial markets are volatile in nature and is subject to market risks. Hence all the visitors are requested to apply their prudence and consult their financial advisor before acting on any of the recommendations by this site or any of its mode. Neither Chanpreet Singh / Sokhi Team nor any of its promoters, members, or employees hold any responsibility of any losses incurred (if any) by acting on the recommendations. The Company shall not be liable to the users for any advice shared through this email. All data and reports at Sokhi Team are only information services for subscribers and are not individualized recommendations to buy or sell securities, nor offers to buy or sell securities. Also we reserve the rights to make modifications and alterations in the material contained at this site without any intimation to you of such modifications and no claims shall be entertained for the same.• SEBI Registration disclosure - Investment Adviser Registration No : INA300005090.